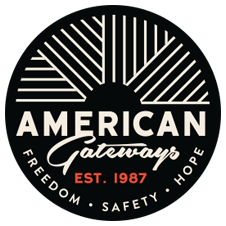 American Gateways relies on the financial support of community members to continue to grow and provide cutting edge legal services to our clients. Please consider making a donation today. It’s easy and it’s tax deductible! Ask your employer and colleagues about amplifying your contribution through a matching gift. Double your impact through a community fund or corporate foundation match. Introduce your network to our agency through a house party or other social gathering.